My daughter is in PreK, so the other day when I picked her up from her classroom to leave school early I saw her class busy exploring shapes at various centers in the classroom. I saw Ms. Melissa holding up familiar objects like cans and bottles and talking about what 3-D shape these objects were. My daughter ran up to me so excited to tell me about some new shapes that she was learned. I was reminded how important it is for us to step into one another’s classrooms, especially when we collaborate with one another. Taking just a moment to stop, look, and listen in a classroom can open your eyes to what students are learning and how they are learning it within a room. I love how preK is full of curiosity and wonder. They get excited about every new discovery and immediately start looking for that new knowledge all around them. I also know how much PreK loves the movie Frozen. I’ve seen them using GoNoodle to sing the song together. They belt out the lyric “in frozen FRACTALS all around”, but they have no idea what a fractal is. This was a perfect opportunity to weave together some informational text, video, music, vocabulary, science, and math since the teacher was already signed up for a read aloud. We opened the lesson by watching the “Let It Go” video where the word “fractal” comes up. We wrote the word fractal on the board and then asked ourselves what a fractal might be and how it was connected to our study of shapes. 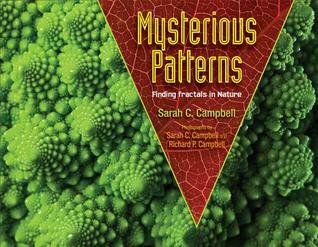 Next, I read the book Mysterious Patterns: Finding Fractals in Nature by Sarah C. Campbell. This book explains how 3-D shapes are all around us and tells how Benoit Mandelbrot made up the word fractal to describe shapes that are made up of the same pattern. One piece of the shape looks the same as the whole shape. The book has photographs of things like broccoli broken into different pieces all the way down to a single piece of broccoli to show that it looks the same. There are also pictures of Queen Anne’s lace, trees, lightning, and more. 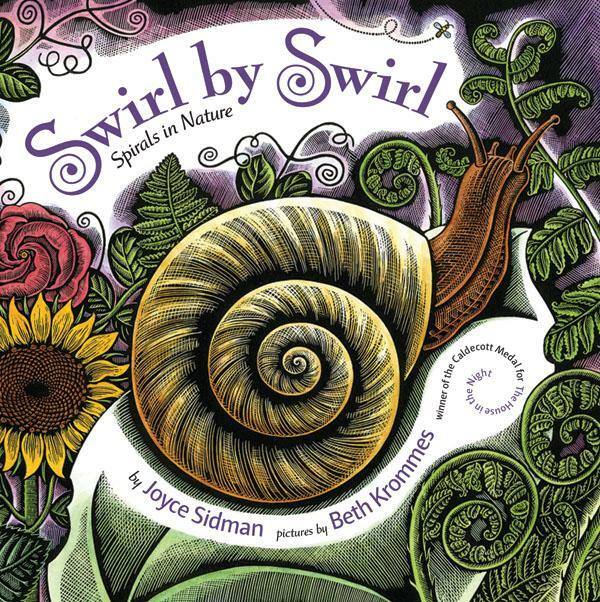 Following this, we continued thinking about shapes in nature by reading Joyce Sidman’s Swirl by Swirl. It was interesting to think about fractals and swirls and whether or not they were the same thing or different. The teacher, Ms. Heather, checked out both books to take back to class to add to their explorations of shapes. She plans to branch off of the excitement that kids had from the photographs and illustrations in both books and continue to look around outside for these patterns. For example, the class already knows that there is a swirl shape within our playground equipment, so they plan to walk out there to take a look. Now, when this class belts out “Let It Go”, they will have a new understanding of frozen fractals. This entry was posted in Lesson and tagged fractals, Let it go, math, nature, observation, preK, science, shapes, vocabulary. I’m so proud of teachers such as those at Barrow, who can use the unusual & intriguing to teach the core curricula, making sure that their students are continually mentally & creatively engaged. Kudos. Thank you so much! It was a fun impromptu lesson. Those are usually some of the best kinds.